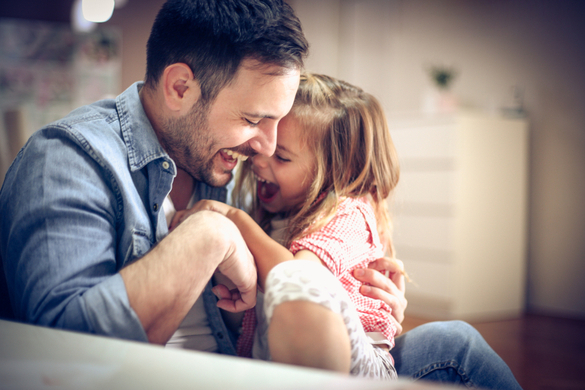 Taurus Man As A Father: What Will He Be Like With His Children? Are you dating a Taurus man and wondering if he might make a good father to your future children? Maybe you’re thinking about marrying him and want to know what the future might be like if you have kids. 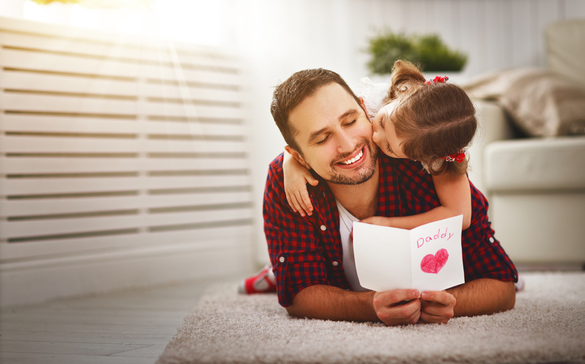 Read further for more information on what to expect from Taurus man as a father. Taurus is the kind of man that has his own set of morals and values that he lives by. He will want to teach his children what these are. He wants his kids to have integrity and to learn how important it is to always live the right way. He’s a humanitarian type, therefore, he’ll want to show the children how to follow in his footsteps. For them to grow up and always be good to other people and to do the right thing is his ultimate goal as a father. Taurus guy wants his kids to be good, well adjusted, and moral adults. He’s a wonderful example of how that works and will no doubt, be able to succeed in being a great father. He’s great at teaching how there are consequences to their actions. He wants for them to treat other people well, work hard, and be an upstanding person in life moving forward. This man is a great guy at teaching them what it means to stand by your family through hard times and through good. He will be there for them through their best times and their worst. His example shows them how they should be for their own future friends and family. Trust is built and they’re able to learn how important it is to build solid foundations with those they care for. 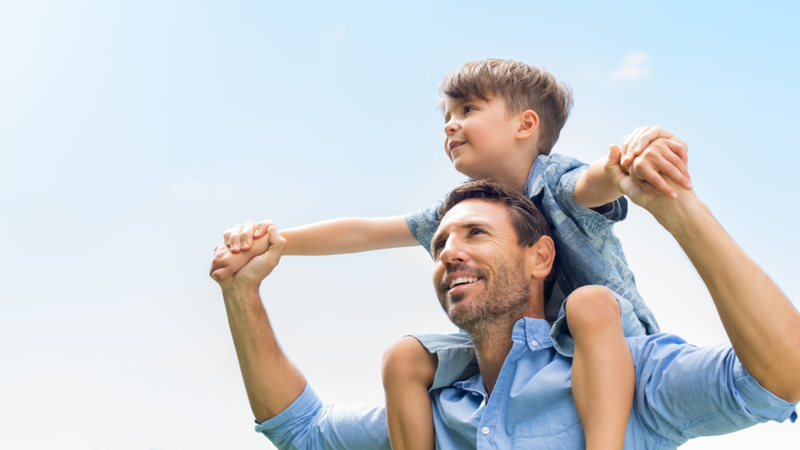 Most Taurus men will want to inspire their children to be active and fit. He will want them to join in on activities at school or even outside of school. Being healthy will help them to achieve their life goals. It’s very likely he’ll want to teach them about nature and how to better help out in making the environment better on earth starting with their own surroundings. It wouldn’t be surprising if he insists on having a family pet or two. He loves animals himself and will want the kids to learn responsibility as well as great care for the pets. It’s important for them to love and respect nature so that they can make a real difference going forward. Teaching them that making the right choices will lead to health, happiness, and fulfillment. While he may struggle with his own health choices, he’ll do his best to get on track as to be a good example for his young. He may implement a healthy eating or exercise regimen for the family to follow. In fact, having children may inspire him to get healthier if he’s been slacking at all. His children inspire him to be a better man. Keeping in mind that he IS a Taurus and you’ll understand that there are times where he just won’t bend. The kids may want to do something and he doesn’t think they should, therefore, he will put his foot down. If you want to keep your marriage solid with your Taurus man, you’ll want to talk to him on the side to reach some sort of agreement. You never want to make him feel as though his authority doesn’t matter. Talking together will help the two of you find the best course of action when it comes to what the kids can or cannot do. You’ll both need to stick to it. Just remember that you’ll have to convince the Taurus man why change is needed. The children will also have to learn the art of telling dad exactly WHY they should be allowed to do something he doesn’t approve of. This teaches them to learn how to intellectualize and compromise. The Stubborn Taurus man can be reasoned with but it takes a lot of finesse. As his wife, you should learn how to get through to him in a way that won’t be emotional nor make him feel as though he is less than a man. Taurus man wants to be the head of the family and as long as you give him that, he’ll be a happy husband and father. The kids need to also understand that Dad is the Alpha to the family. Once that is all set into motion, the soft gentle touch of mom can often talk some sense into her Taurus husband to understand its ok to be a little soft sometimes and give the kids some slack. Something the Taurus man will need help with is to be more open to change. Since he’s pretty solid on what is alright and what isn’t, he is likely to say “no” more often than you or the children would like. Helping him by talking to him and making him understand that change is bound to occur with children. Random things come up quite often when raising kids. There are times where he needs to go with the flow instead of being rigid. It takes the right partner to be able to teach her tough Taurus this valuable lesson. Once you’re onto your second or third child, he’ll have learned some important things along the way. He’ll likely get a bit softer as time goes on because he starts to understand that he doesn’t have to be so stringent when it comes to what the children can or cannot do. He will want nothing but their happiness and knowing they will be great people. If he realizes they ARE growing the way he had hoped, he’ll relax in trusting that they know what they are doing and that they will also make mistakes just like everyone else. PreviousPrevious post:Taurus Man Erogenous Zones: Tricks to Make Him HOT!